Earn $6.49 in VIP credit. Click to Learn More. 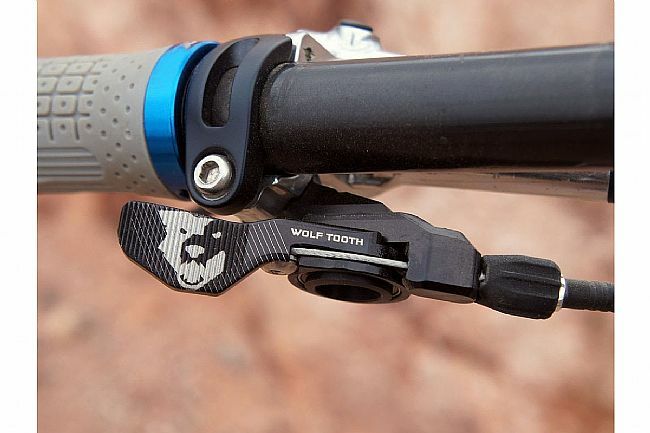 The Wolf Tooth Components ReMote is a upgraded trigger for most cable-actuated dropper posts. 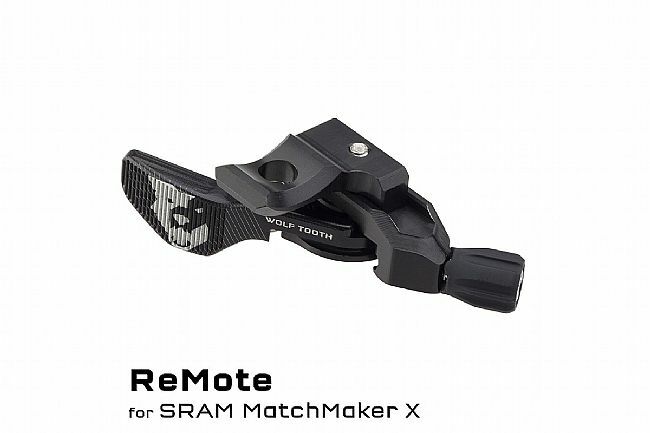 Replacing the existing bar-mounted trigger, the ReMote is designed to address dropper remote complaints in a compact, ergonomic, and sturdy package. 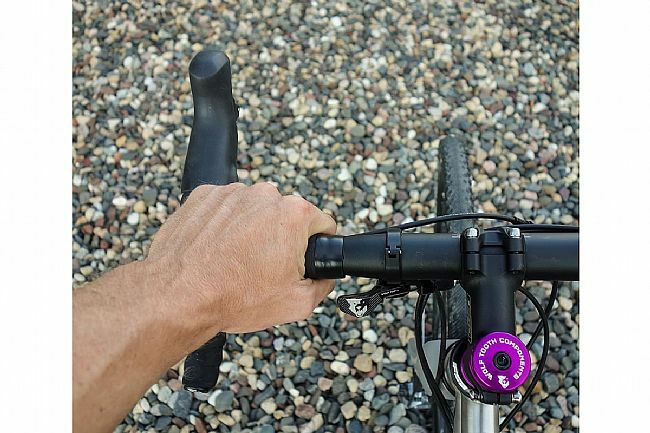 Starting with feedback from pro mechanics, pro cyclists, and average Joe's alike, the ReMote delivers a hassle-free 15 minute installation that makes easier than ever to operate a dropper post. Built with an oversized bearing pivot, the ReMote ensures effortless, smooth operation, and thanks to the breakaway lever axle, the ReMote minimizes the effect of crashing on the pocketbook. 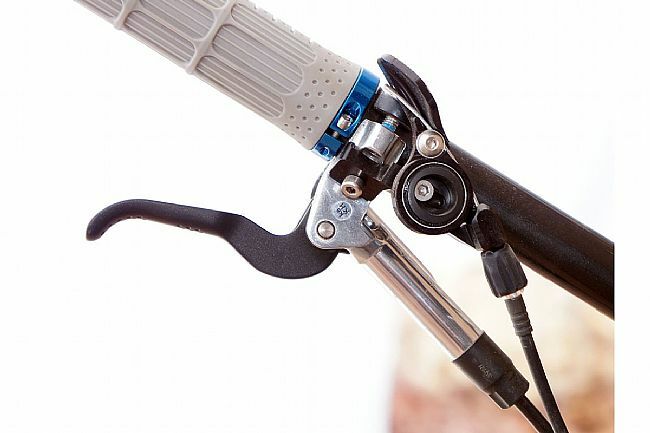 Additionally, an integrated barrel adjuster allows for on-the-fly tweaks of your dropper post. 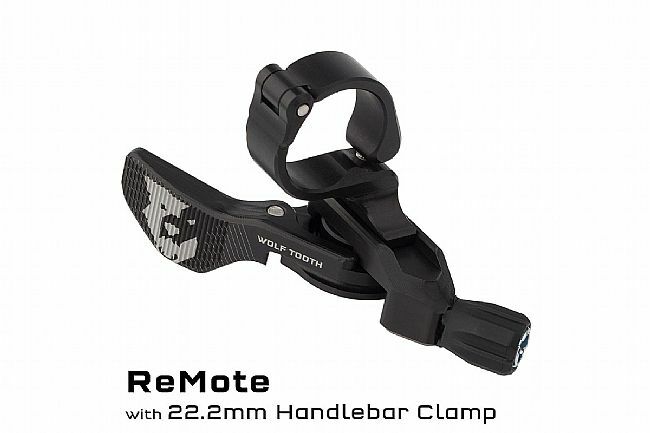 The Wolf Tooth Components ReMote is available in a variety of clamp types for the maximum in ergonomic integration. 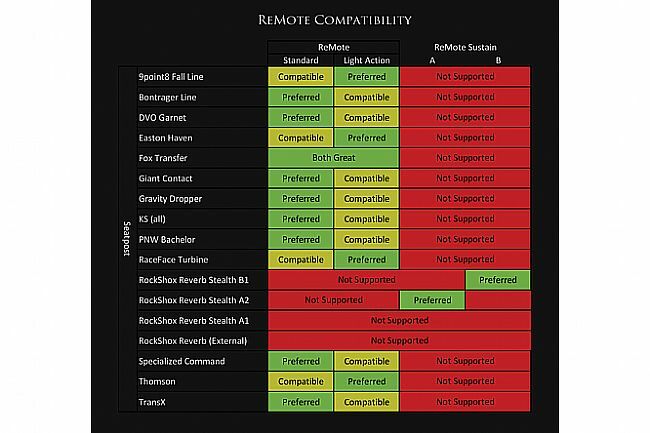 Upgrades existing remote for most cable-actuated dropper posts. Low-profile lever design is easy to use, even in technical patches. 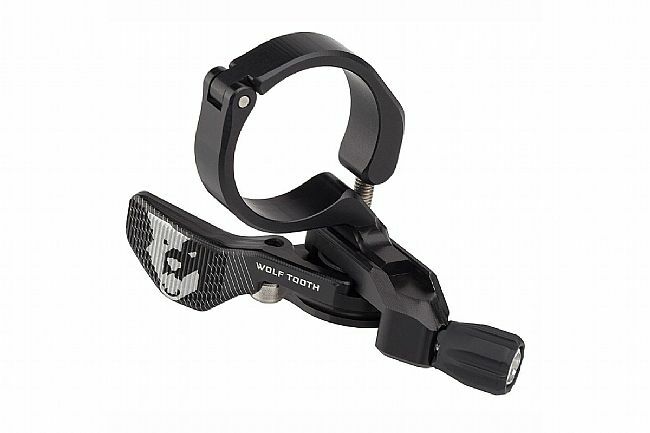 Large sealed bearing pivot provides smooth, effortless modulation. Breakaway lever axle protects ReMote body in case of crash. 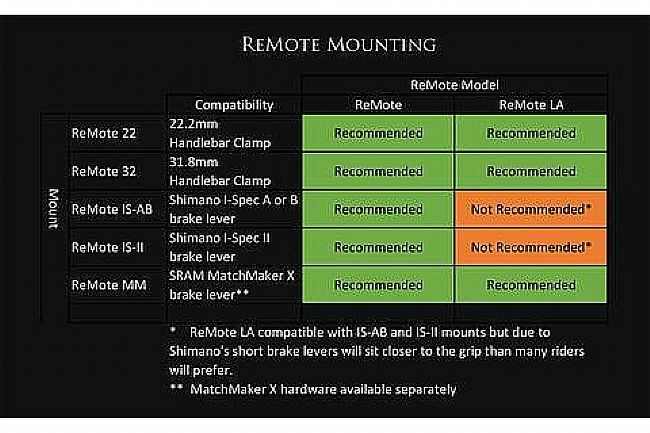 Machined lever surface for optimal grip in all conditions.